As we gear up for summer in Bradenton, we’re all looking for fun ways to get out and enjoy the city. 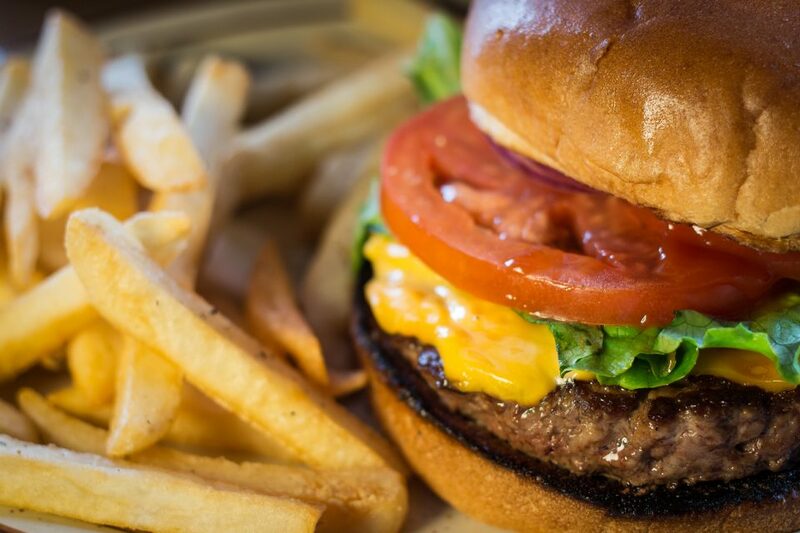 Why not spend this summer seeing if you can find the best burger in Bradenton? Here’s a few local spots to get your search started. You can try out a really unique burger at Full Belly. This place lives up to its name and has some of the best burgers in Bradenton. Their specialty? Stuffed burgers. They make burgers with all the toppings you loved cooked right into the patty. Try out the mushroom swiss for a classic flavor mix or the Matty Matt – stuffed with sweet maple bacon and natural peanut butter – for something a little more adventurous. You can even get your burger served as part of a salad if you don’t want a bun. You can find Full Belly at 8742 State Road 70 E, Bradenton. They’re serving up burgers from 11 a.m. to 9 p.m. Monday through Thursday, 11 a.m. to 10 p.m. Friday and Saturday, and noon to 8 p.m. on Sundays. If you want a fun place to hang out while you enjoy a burger, SOB Burgers is a great option. You can watch sports on the TVs or play darts or video games. Try out the SOB signature burger with blue cheese and bacon. Or have something really special with the holy grail. It’s topped with homemade mac and cheese, American cheese, and bacon. The Cubano is another great choice with Swiss cheese, smoked ham, pickles, mayo, and mustard. There are even more creative combos for you to try out, so you’ll never get bored with your options. SOB Burgers is at 5866 14th Street West. They’re open Tuesday through Saturday from 11 a.m. to 9 p.m.
We can’t talk about classic burgers in Bradenton without talking about the Shake Pit. Enjoy a no-frills cheeseburger, hot dog, BLT, or chicken tender basket. Just be sure to bring cash, because the Shake Pit does not accept credit cards. And don’t stop with your burger order. Like the name suggests, the Shake Pit has all kinds of delicious sweet treats. You can get soft serve or hand scooped hard ice cream to start with. You can also get them made into ice cream sodas, shakes, malts, sundaes, floats, banana splits, or “spooners.” You’ll want to go back again and again to try all the combinations, especially as the weather warms up. The Shake Pit is at 3801 Manatee Avenue West. Stop by between 11:30 a.m. and 10 p.m. any day but Wednesday. If you’re going to be touring around town trying to decide who has the best burger, you need to make sure you have a vehicle with room for everyone. If it’s time for an upgrade, visit us at Hendrick Honda Bradenton. With our huge inventory of new and pre-owned vehicles, plus the expertise of our friendly staff, you’ll walk away with the perfect ride.